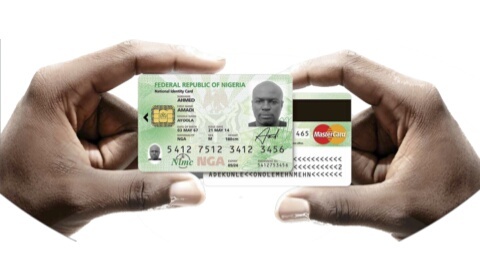 The Federal Government of Nigeria has made it through it agent [ The National Identity Management Commission ] to make sure every citizen of Nigeria pass through this enrollment and to prevent unlawful immigrants from entering Nigeria without this ID card or from you own country. A national identity card is a portable document typically a plasticized card with digital embedded information that each citizen or resident in a country is issuesed and require to carry as a means of confirming their identity. The national identity management commission has created a simple way for everyone who participated in the enrollment to get his/her permanent or plastic ID card using a unique portal to check if it is ready for dispatch. 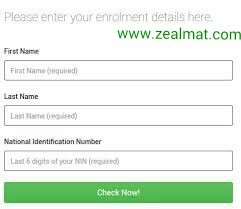 Note: we the zealmat team are not staff nor agent of the national identity management commission but we tend to help the upcoming generation for easy access and less stress. So today i have created a simple step on how to check your card availability status and also if your card is ready you will be notify as soon as you finish this steps below. Now fill in your details into the form like your "First name" › "Last name" and your "Last six ID card number"
Finally click on the button below "CHECK NOW" and your ID card status will be displayed for you. Was this content really helpful? But do you know that with your reply you can make this content more enhance for other readers? Why not drop a comment below before leaving this site... Thanks. Wow nice one Mathias, already on the site now. Need to find out my card abeg, for two years now am still waiting.. Thanks for droping this. You are welcome sir and we are happy you find your solution here. Chai mine is not still ready "Sorry Emmanuel, the details did not return a result. Perhaps your card has not yet been dispatched. Please try again in a week or so." And also for those that want to check, it is not the last 6 digits but the first 6 digits. Nice, but i hv been checking my ,the stories still remain the same, are u sure they are still working on these cards?